We all want to relax and have a nice time. We shouldn’t have to address a lot of rules, right? But, sometimes we have to spell it out. We know we don’t have to do so for YOU, right? But for everyone else… and for your personal enjoyment… here’s the skinny on your vacation policies. We hope you enjoy your stay with us and have a fun and relaxing vacation. Before you leave for your trip we would just like to go over some rules that our management company has in place. These policies must be strictly enforced for the safety and enjoyment of all our guests and neighbors. WE RESERVE THE RIGHT to refuse rental, or to discontinue occupancy if, in our judgment, your occupancy is detrimental to the property. Any such refusal, discontinuation, or eviction is not subject to refund. We reserve the right to enter the premises at any time for the purpose of inspection, repair, management or showing to prospective buyer. By renting a property you are assuming all risk of and liability for any damage done to person or property, agents, employees or visitors occasioned by the present or future condition of the premises both latent and manifest. We will not be responsible for accidents or injury to guest or loss of money or valuables of any kind. The listed “LIMIT” number indicates the maximum number of occupants allowed in a property at any one time. There are exceptions for infants under age 2 only. The “limit” refers to bedding arrangements as described on our website for a particular property. If a property provides a range, the larger number is when you rent all of the property, for example: 2 sides of a duplex. You may not have the larger number in a single side. Let’s all be reasonable, right? Feel free to contact your Reservation Specialist for clarification. Have fun, but be safe and secure. Following our rental policies and procedures will help! That includes not exceeding the occupancy limit of the rental at any time, and not hosting house parties. But definitely having a great time on the beach! A list of all occupants, including email, phone, permanent address, and identification is required of all occupants prior to move-in. Failure or refusal may lead to problems with check-in or during the stay and may lead to eviction/cancellation of the reservation without refund. Atmosphere conducive to quiet enjoyment of guests in surrounding accommodations must be maintained at all times. 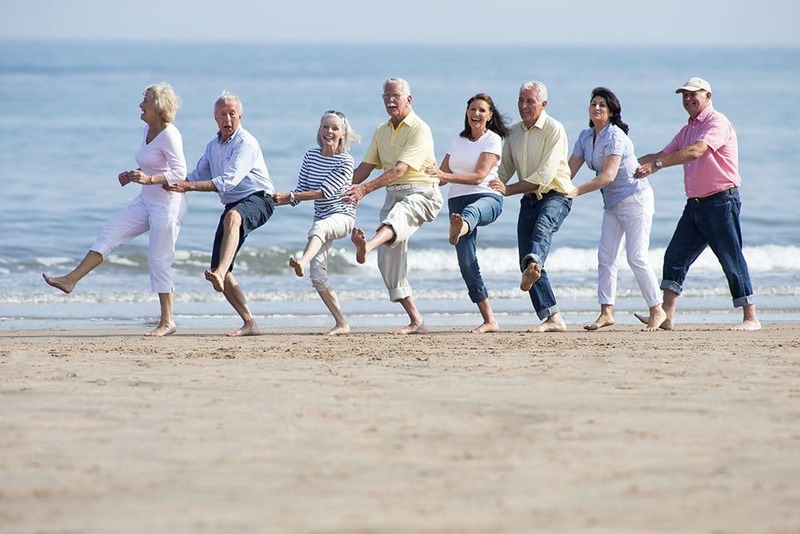 Only responsible adults of legal contractual age may contract for rental. Valid, government issues, identification must be furnished upon request. Not inside, not outside, not on the decks, not by the pool. No means no. A house party is grounds for immediate eviction with full forfeiture of deposit, rent, and liability for all cleanup and damages. We get parties, if you wish to “party,” may we kindly suggest going to the Pink Pony Pub, The Flora-Bama etc. If you are truly a big group, many of the local establishments have private areas you can rent out. Going out to enjoy a few? Please have a designated driver. Nothing wrecks a vacation more than sitting in jail, or having to go bail your friend out–definitely harshes the mellow. There are also numerous beach transportation services that can carry between 1 and a whole bunch of your friends much less expensively than a get out of jail card. And while we are on the subject of parties…. Beer funnels or kegs are not permitted AT ALL on property. Alabama drinking age is 21; strict ID requirements will be enforced by local authorities. *Violations of rental occupancy restrictions are grounds for IMMEDIATE EVICTION AND FORFEITURE OF RENT. Do NOT tamper with fire equipment or alarm systems. It is a felony punishable by fine or imprisonment. This will result in immediate eviction. Fireworks are strictly prohibited by law at all properties and on the beach. Firearms are prohibited at all facilities and rental properties. Beach stuff missing? Safe beaches for everyone, even the turtles. Leave only footprints. 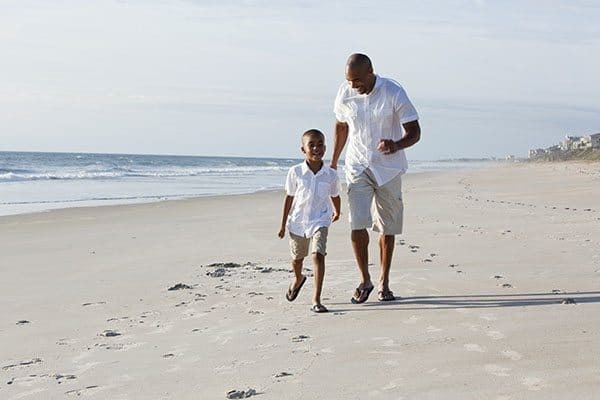 The Cities of Gulf Shores and Orange Beach have started the Leave Only Footprints initiative, along with accompanying enforceable ordinances, to help keep the beaches awesome for everyone. 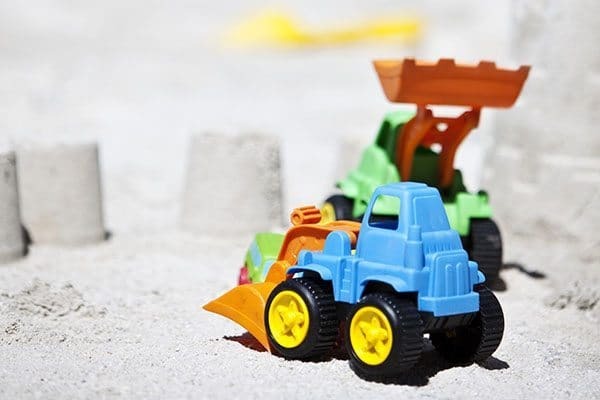 Among the key things: you may not leave beach gear, toys, or anything else on the beach overnight. Personal items must be removed one hour after sunset. Avoid walking on vegetation. Explore away from nesting areas. 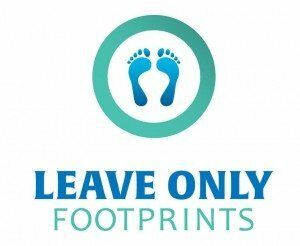 Learn more about the Leave Only Footprints initiative. The beach is an awesome place to hang out. Just remember that by law no dogs, fires, fireworks, or open containers are allowed in Gulf Shores. Bed linens * blankets and pillows. Start-up supply of soap and paper products in most, but not all, homes. Start-up supply of towels in condominiums and houses (don’t forget to bring your beach towels). Do not take any of the furniture from inside the home outside and do not take any of the patio furniture or any of the blankets, pillows, cups, etc. to the beach. Do NOT climb or throw anything from the balconies. It is a felony punishable by fine or imprisonment. This will result in immediate eviction. No jumping on the beds, furniture, countertops, etc. Please treat our home as if it were your own or your parents. If you spill something onto the floors or the furniture and need help on how to clean up, please call the management company immediately for assistance to limit the damage or any cleanup costs to you. Red wine and red juice are extremely hard to get out. Call immediately for help. If you wait, it could be permanent, and you would be responsible for full replacement. Better yet, avoid them over carpets altogether! Be careful not scratch the tubs, floors, or counter tops. All TV’s, electronics, remotes, etc. must stay where you found within the home. Garages do not have guaranteed access for guests. Most are for owner usage only and are not included in your rental. Locked owners’ closets are not included in your rental. No pets are allowed at any time. They are not allowed by law on the beach either. There are some nice kennels in the area if you must bring Fluffy or Mittens. No food or beverages are allowed in the pool areas. Glasses and large coolers are NOT permitted on the pool decks (this include beer bottles, you knew that though, right?!). These can tear up your feet, destroy the pool lining or filter, and more. Plastic. No alcohol on the beach during Spring Break–City Ordinance! March 1 to April 17. No alcohol on public beaches. Big fine. Jail time. The City of Gulf Shores unanimously adopted an ordinance to prohibit the possession or consumption of alcoholic beverages along the entire Gulf beaches in the City of Gulf Shores. Any person in violation of this Ordinance shall be guilty of an offense, punishable by up to $500 and/or up to 6 months in jail. Read more. By choosing to stay in one of our units, you are explicitly acknowledging and agreeing to by bound by the Acceptable Use Policies (AUPs) of various network service providers for the home. This may include, but is not limited to, Mediacom, AT&T, DirectTv and others. You are solely responsible for any use of the internet services during the period of your vacation. You agree that any violation of the terms and conditions of the respective AUPs, including, but not limited, uploading or downloading of copyrighted materials without permission, is a breach of contract subject to any and all remedies in the leasing agreements. Additionally, you agree to release, indemnify, hold harmless, and defend us from any and all such violations that may occur during your stay. The primary guest (the person who signed the rental agreement) must be present at check-in, and present appropriate government issued identification, unless prior arrangements have been made with the office. See your confirmation letter for check-in location. If you plan to arrive after 5:00 p.m., please call ahead for key pick-up instructions. You will receive keys upon check-in. If you become locked out of your accommodations after hours, security may charge a minimum $25 re-entry fee. Due to high housekeeping standards, some properties may need a little extra cleaning time and check-in may be delayed. We appreciate your patience as we prepare your property. Check-out is 10:00 a.m. We appreciate your cooperation in adhering to this, as the management companies must have time to prepare the property for our next guests. Early check-in is not possible; therefore, we encourage you to enjoy the public beaches and attractions if you arrive in the area early. After your relaxing vacation, taking a little time to clean up can help prevent some bonus costs if the house is really messy. Oh, hey, and you didn’t park in the sand, right? Hope not! Have a great trip! Pick up and bag all trash and dispose of all trash in proper outside container–including items you placed into the refrigerator. Trash pickup is early Wednesday and early Saturday AM. Trash must be curbside by early Saturday the day you check out to avoid a possible additional trash hauling charge from your assigned local management company. Please leave all dishes, appliances, and furniture at proper home. Do not transfer to any other property or you will be charged for replacements. Any damages will be the responsibility of the renters. You are responsible for your guests as well. Here at the beach, parking is limited. Please make your travel plans accordingly to avoid any inconvenience on your arrival. Parking space varies, ask the Reservation Professionals at check-in for details. Be reasonable: you simply cannot expect to bring 10 large SUVs to a home…. There are shared lots that you can drop off extra vehicles in if you needed them primarily to get to the Gulf Shores area. Check with you the local property management company assigned to your unit for more information. 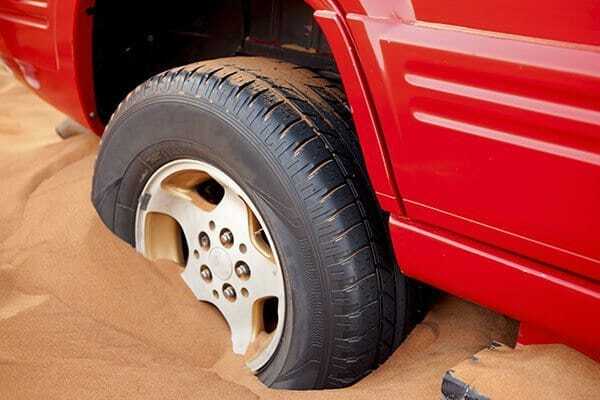 Even four wheel drive vehicles get hung up in sand. Please don’t leave the driveways of your Gulf Shores vacation home or this could be you! Our On Golden Pond properties offer boat trailer parking and pier facilities with prior arrangements. Otherwise, boats, trailers, jet skis, and motor homes are not permitted in the parking lots at any of our other homes at this time. Motor home/travel trailer hook-up is not allowed as it over occupies the property and is often specifically disallowed in neighborhood ordinances. Plus getting an RV stuck in the sand would be really entertaining for other vacationers, but not so much for you. Need work done? Break something? Contact your local property management company, or let us know directly. We’ll take care of you. Report all maintenance issues promptly by calling your assigned local management company. Just as might occur at your own well-maintained home, mechanical failures and other breakdowns could occur. Every effort will be made to correct the situation; however, no refunds or rate adjustments will be made for mechanical failures. If the situation is urgent (be reasonable here) and it is not resolved promptly, let’s us know and we will try to help! Report any damage or breakage upon occurrence, so the matter can be settled before departure. Damages found by inspection crews upon departure will be billed and full payment for repairs will be collected via credit card. Working condition of pools, hot tubs, air conditioners, cable, phones, internet service, TVs, VCRs, DVDs, appliances, elevators, etc., are NOT guaranteed. No guarantee that pools will be heated. NO REFUNDS or rate adjustments will be made for mechanical failures and malfunctioning equipment. These amenities are extras provided in addition to the beach house or condominium rental. Although all attempts will be made to correct the situation, some breakdowns or service interruptions cannot be prevented or repaired during your occupancy. Maintenance technicians and vendors may access the property for purposes of repairing previously reported issues. A form identifying the action taken will be provided at the time of the maintenance visit. PROPERTIES FOR SALE — If a property is for sale, the owner reserves the right to have the property shown to prospective buyers. A real estate sales associate or Elkins Management & Development representative will contact you to make arrangements to schedule the showing at a convenient time. The continued growth of the area is evidenced by new construction that may be adjacent to or near existing vacation rental properties. You may reserve a property at a time when no construction is nearby, but construction could begin prior to your arrival. We regret any inconvenience but cannot control these situations. Refunds or relocations cannot be considered. Quoted rates do not include 8.5-11% sales tax and cleaning fees. We require each payment due be paid with a single form of payment. If you are cost sharing among multiple people, please handle collection of individual payments, and make your payment to us in a single payment. Rates and descriptions are not guaranteed and are subject to errors, omissions, and changes. Spring Break weeks, Hangout Fest, and ShrimpFest are priced at Peak Summer rates, and may not be listed in the rate tables as such. When booking reservations, they must start or end on a Saturday, especially during peak times. The owner reserves the right to move vacationers to similar properties if a unit becomes unavailable. The owner reserves the right to require a security deposit as a part of the rental agreement. NO REFUNDS are issued for cancellations or early departure due to inclement weather or personal circumstances. Amenities and features are not guaranteed and may be unavailable during a particular stay as a result of events outside our control. Bedding specifications, unit features, etc, on the website are subject to change as properties are built or refurbished. Bed types in particular may change. Such changes should not affect occupancy loads. Call for the latest information. If you notice something that does not match the site, we’d love to hear about it so we can improve the site’s accuracy. We understand you are here for a safe, secure, memorable visit, which is why these rules are necessary. If you violate the rules, it will result in eviction by management or law enforcement. But, you won’t have that happen, right? Just that other person, you know the one…. Have a fun and safe vacation! !